TA Technix lowering springs for VW Golf MK7. 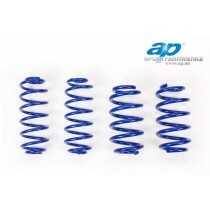 TA Technix lowering springs for the VW Golf SportWagen MK7 (AUV). TA Technix lowering springs for the VW Golf MK7 GTI/GTD. TA Technix lowering springs for the VW Golf MK7 GTE.